The word costume translated from English to Spanish is Disfraz. I will be photographing portraits of people wearing costumes. 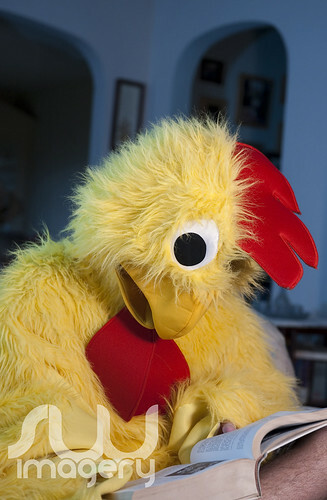 I got the idea from my photos of Melissa’s brother Dave in his chicken costume. You can see some other costume portraits on my Halloween post from November 13, 2009. If you own a really good costume and are in the New Jersey area please get in touch with me as I’d love take a portrait of you in costume.